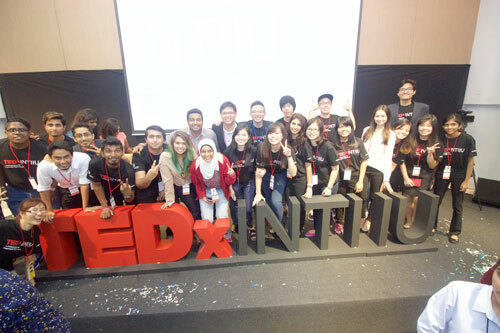 Homelessness, communication, innovation and entrepreneurship – these were the top trending topics discussed at INTI International University & Colleges’ first TEDx event for this year. Organized in conjunction with INTI’s 30th Anniversary, #TEDxINTI is a series of five TEDx events that will be held across five of INTI’s campuses nationwide. The #TEDxINTIIU Organising committee comprising of 25 students from INTI International University. 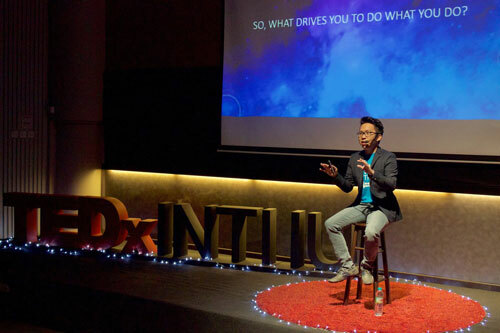 The first of the five conferences, TEDxINTIIU, was organized at INTI’s flagship university, INTI International University, and brought together 11 prominent speakers. Each an expert in their respective fields, these speakers took to the stage to share their ideas and solutions on some of today’s widely discussed problems and issues. The lineup of presenters included Edison Lim, a visual artist who specializes in magic; Gajen Nad, one of Malaysia’s first Chindian standup comedians; Heidy Quah, one of the youngest NGO founders in the country who runs six schools which provide basic education to almost 600 refugee children; J.J. Fernandes, a pioneer radio host who became popular for the Hitz! FM’s ‘Gotcha’ call; and Melissa Th’ng, Malaysia’s first representative on the reality TV show ‘Asia’s Next Top Model’ and a radio presenter at Hitz! FM. The event also featured INTI alumni Marcus Low, founder of Hostel Hunting, who, during his college days at INTI, created an online application that would help fellow students solve their accommodation woes. Low, a high achieving student during his time at INTI shared his take on entrepreneurship, the power of sharing and how his ability to communicate his ideas landed him his very first investor. Other speakers included 25 year old Yusser Al Qaswini, who used her drawing talent to raise funds for war victims in Iraq. Her work with UNICEF has seen her raising money to help the Internally Displaced People (IDP). Seasoned TEDx presenter and renowned inventor, Robest Yong, was also part of the outstanding lineup and talked about his passion to solve everyday problems through his inventions. Yong dazzled the audience with some of his inventions which included a screen protector that also acts as a braille indicator, enabling the blind to use a smartphone. The inspiring, hilarious and stunning stories brought to life by these presenters left a significant impact on the crowd of nearly 300 attendees comprising students representing INTI and other institutions. Some of the topics, including entrepreneurship, pursuing one’s passions and overcoming failure especially hit close to home for these aspiring young leaders. “The objective of any TEDx event essentially boils down to sharing inspiration. It was a great opportunity to organise TEDx at INTI as there is a huge following of students who enjoy these thought provoking sessions Organizing this event at the university level was an amazing experience for all those involved, including the record 30 volunteers who came forward to make this event a success ,” said Prashun Choudhury, the curator of TEDxINTIIU. The next TEDxINTI event is set to take place at INTI’s Penang campus on May 28, 2016 and will feature another exciting line up of prominent presenters and INTI alumni.